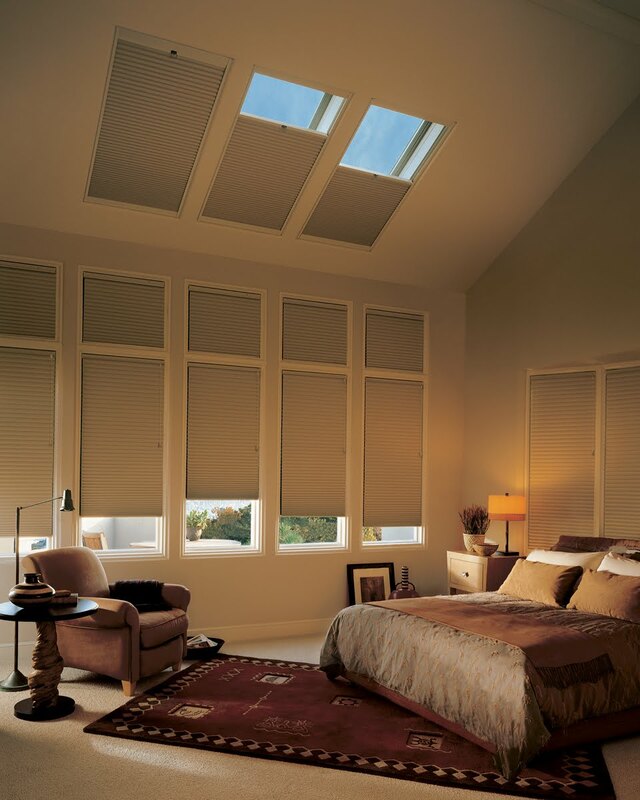 Honeycomb shades provide energy efficient insulation making skylights both aesthetically appealing and practical. This particular skylight shade matches perfectly with the remaining bedroom window treatments to lend the room a more uniform flow and grace. With your handy remote control, completely block the harsh morning sun or open your honeycombs for some romantic stargazing.